It’s no surprise that some of today’s highest-paid tech workers reside in the Bay Area -- home to companies including Facebook, Google and Apple. 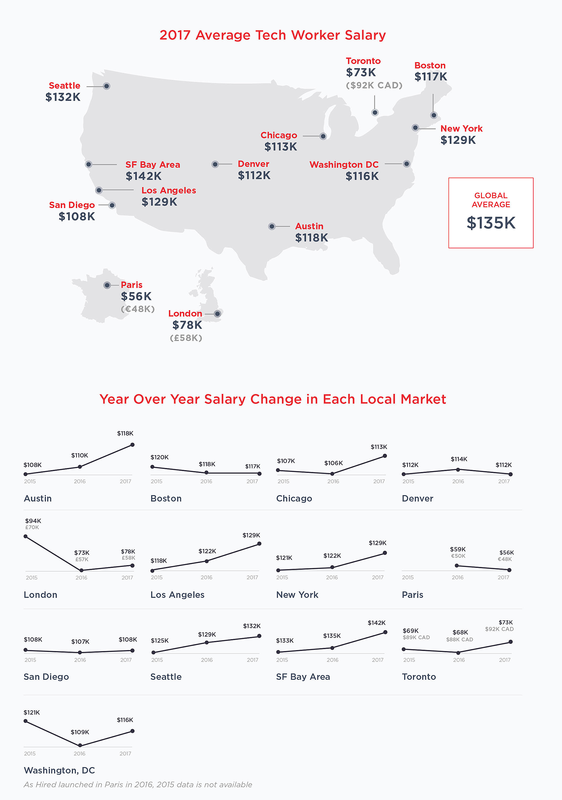 On average, a tech employee makes an annual salary of $142,000 in the Bay. However, workers in cities including Seattle, Los Angeles and New York aren't far behind. Seattle comes in second for highest-paid tech workers, with an average of $132,000 annually. Tech employees in the Big Apple and La La Land each take home an average $129,000 a year.